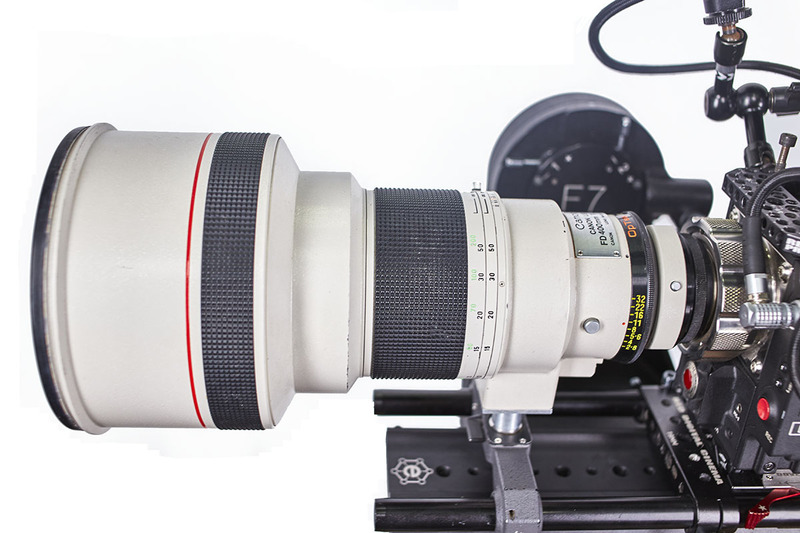 Our Canon 400/800mm is an Optex conversion of a Canon FD lens, and offers extreme telephoto angles, which can fill the frame with the sun or moon, and capture amazing heat-haze effects. It is a native F2.8 lens, but with the included Canon 2x converter, it becomes an 800mm, F5.6. Also included is a 19mm bridge plate, lens hood, and circular ND filters (.3, .6 & .9) which fit into the rear of the lens.